This program is freeware with limitations, which means that it is free for personal and commercial use up to 10 users. It does not contain any advertising or popups. For commercial applications with more than 10 users there is a commercial version of the product available at www.biopdf.com. Multiple output types supported: BMP, JPEG, PCX, PDF, PNG, and TIFF. Works with Windows 10 Technical Preview. New installer switch: PostScriptLanguageLevel to control the language level of the driver. New installer switch: PostScriptOutputOption to control the output options of the driver. New installer switch: DPI to control the default resolution of the driver. New installer switch: AdvancedFeatures to enable or disable the advanced features of the PostScript driver. Easily creates PDFs from any Windows program. 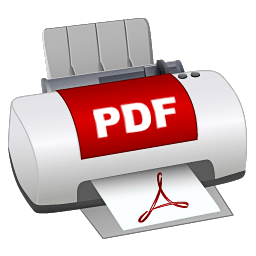 Create PDF files without Acrobat and combine documents into a single PDF.